The JENSEN® JiLS-525iB is a music system with rotating Lightning dock for playing and charging your iPod® and iPhone®. 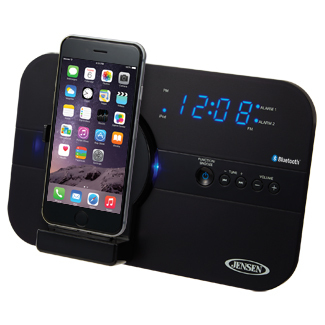 This docking digital music system features Bluetooth® connectivity and is perfect for use with Apple’s newest Lightning equipped iPhone 5, iPod touch® (5th gen), or iPod nano® (7th gen). 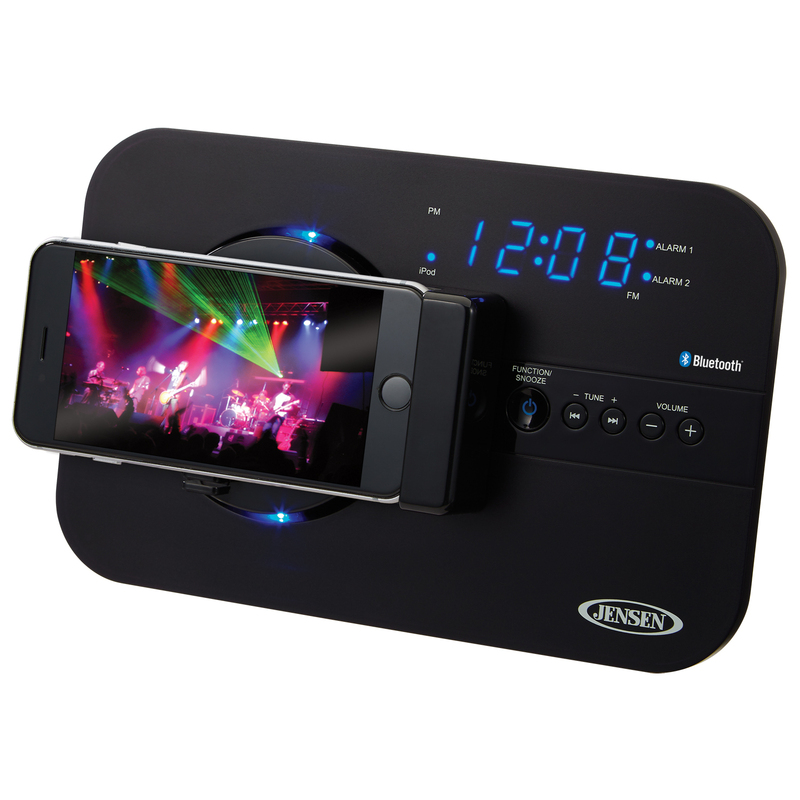 The JiLS-525iB features a unique adjustable dock which allows you to rotate your Apple® device for horizontal or vertical viewing. This model features a multi-function Blue LED display with a digital FM stereo receiver and 20 preset channels. 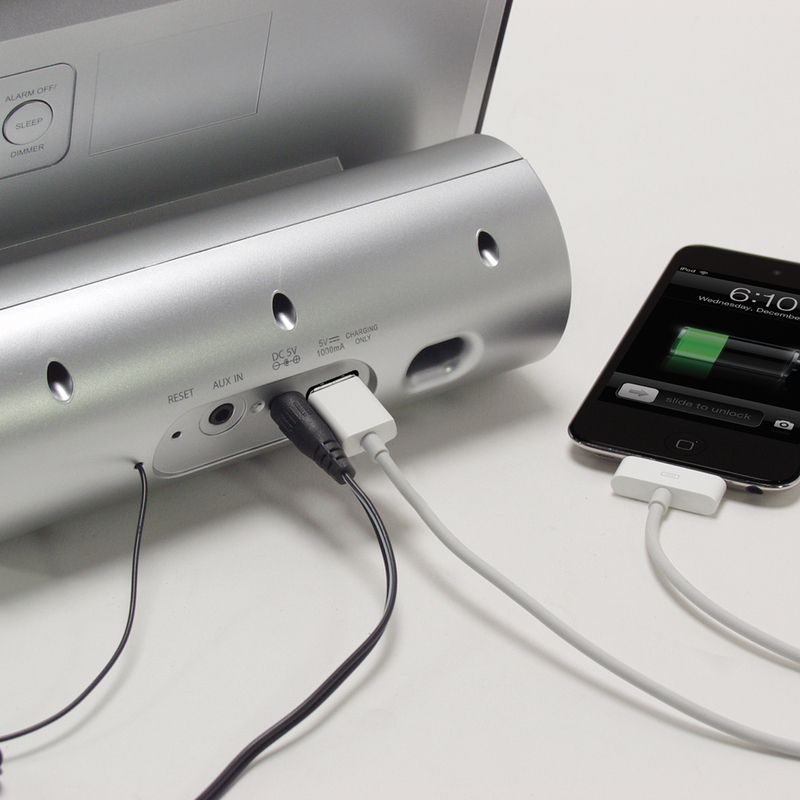 The back of the unit also features an aux-input jack and 1 Amp USB port for charging an additional smartphone. Also featured are dual alarms with sleep, snooze, and personalized wake functions. Remote and 120V AC adaptor included.